Looking back, it was another tremendous year at Militia Hill including the most spectacular day that I have been lucky enough to observe in my time at the hawkwatch!Welcome to April 2014. As I write this we have just experienced snow on St. Patrick’s Day with Spring starting at the end of the week! For those of us who were present on September 15, 2013 it was quite a sight. I missed the most recent “big day” in 2010 but I always enjoy listening to folks who witnessed and counted that liftoff, the number of kettles in the sky at one time, the challenges counting presents when there are that many birds aloft – a veritable mini-Veracruz in Southeastern Pennsylvania! Well, 9/15/13 eclipsed that day in 2010 as well as the record single day for Broad-winged Hawk (13,023 in 1995) by a bit! We counted an incredible 18,055 Broadwings!! The amazing day started with a large liftoff mainly to the east of the deck near the ridge that runs along Willow Grove Avenue towards Wyndmoor. The initial liftoff lasted around an hour – we were pleased and had a heightened sense of anticipation. Then there was a 45 minute lull, which for this hawkwatcher seems like an eternity when you have high expectations! Thankfully it was to be a great day, the main push arrived, this included a single kettle of over 3,000 birds streaming from Northeast to Southwest. By the time the morning shift had ended the count was over 15,000 birds! My favorite memories included the number of people who witnessed the spectacle (over 60) and the “oohing” and “aahing” with each passing kettle. In addition, the birds were everywhere throughout the sky and during the really large movements there was a 3D effect through the binos with close birds streaming through and a tiered effect as you scanned beyond and to a higher altitude. I had never seen that before. The flight continued past 5:00pm (usual quitting time except in mid-September) and the day finished with a total of 18,101 for all raptors. This day also propelled us to two additional annual records. As you can imagine our total of 23,639 Broad-winged Hawk eclipsed the previous year’s record of 20,550. It has been quite a two year stretch for our Broadwing count, with last year’s numbers spread between a few days and this year coming in one massive day. The second record would be an all-time season total record of 26,189 (again topping 2012 at 24,085). Sorry 2012, you did not get to hold the title for too long! While the broadwing numbers were gaudy, this does overshadow that the majority of species counts were below the 10 year average, with the exception of Bald Eagle, Red-shouldered Hawk and Merlin. Factors contributing to this may be that we did lose a few days to inclement weather mostly in October. It will be important to monitor whether this is an overall trend. Other highlights include the Rough-legged Hawk on 10/18 found and ID’d by our newest compiler. Common Ravens were spotted throughout the two months with the high count being a group of 5. A Western Kingbird was spotted from the deck on 10/15. In conclusion, I would like to mention a few things that are happening this Spring. There will be a volunteer work day on Saturday, April 5 at Fort Washington State Park. The staging area for this day will be in the parking lot by Militia Hill – please consider coming out. There are many helpful tasks to be completed! This is always a great event to kick off Spring and get the park looking good! 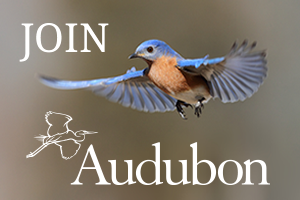 Wyncote Audubon Society will be holding a Centennial Celebration on Saturday, April 12 from 2-5 at Briar Bush Nature Center in Abington and Militia Hill will be represented at this event! Lastly, I will be holding my second annual Raptorthon at the hawkwatch deck on Saturday, April 19 from approximately 11-3. This event raises funds for the Militia Hill Hawkwatch as well as HMANA (Hawk Migration Association of North America). Militia Hill is a member of HMANA. A portion of the funds raised support the Hawkcount reporting system where all count data from the over 250 watchsites in North America is submitted. The remainder of the funds raised directly support Milita Hill. 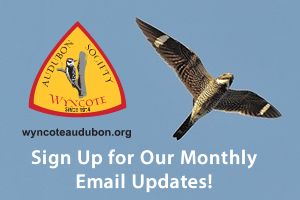 Check out www.hawkcount.org for details and you can also contribute to the effort online at www.hmana.org under the Raptorthon section. Please feel free to contact me if you have any questions about any of the events listed. Hope you all enjoy your Spring and Summer……………see you all again this Fall!!! !